Kira Systems’ technology is the most used and trusted software for contract review and analysis, helping the world’s largest corporations and professional service firms uncover relevant information from unstructured contracts and related documents. Our powerful, patented, award-winning software excels at searching and analyzing contract text and can be deployed for due diligence, knowledge management, lease abstraction, regulatory compliance and other projects where visibility into contract provisions is critical. Using Kira Quick Study, anyone can train additional models that can accurately identify virtually any desired clause. 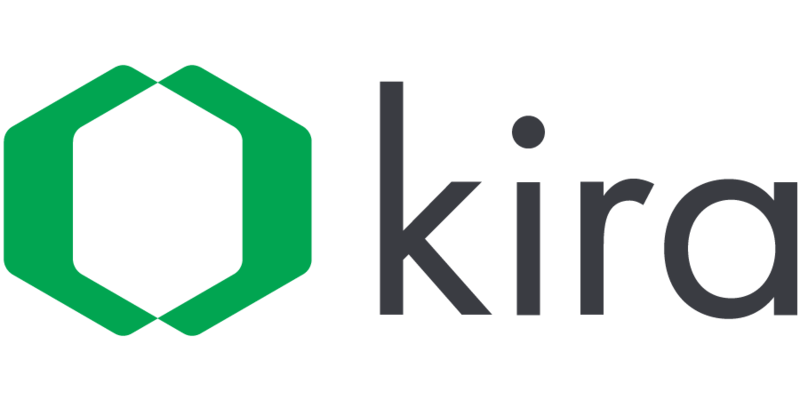 Kira Systems’ certified service providers program and API integrations make Kira accessible to corporations and allow for Kira to be easily embedded in an enterprise's existing system. To find out more, please visit www.kirasystems.com.